Video Detailer is a full-featured, powerful video editing application that is easy to learn and simple to use. 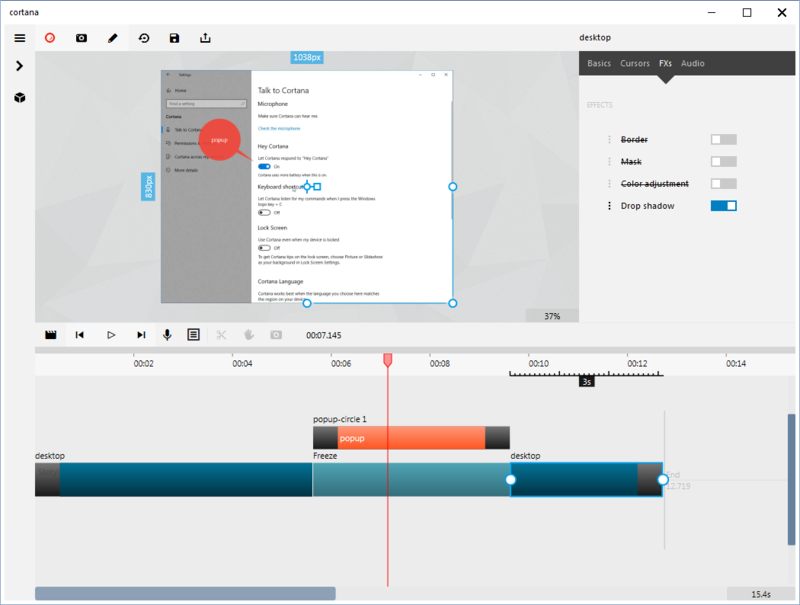 The application allows you to incorporate anything you want into your videos and provides the tools you need to make outstanding presentations quickly. Get to work creating your productions without clutter and complexity. This is the one and only tool you need for video production. At the click of a button you can begin recording yourself, your computer screen and virtually anything you need for your production. While application tools give you the flexibility to create you can import media files (e.g., pictures, video and sound) from any other source. 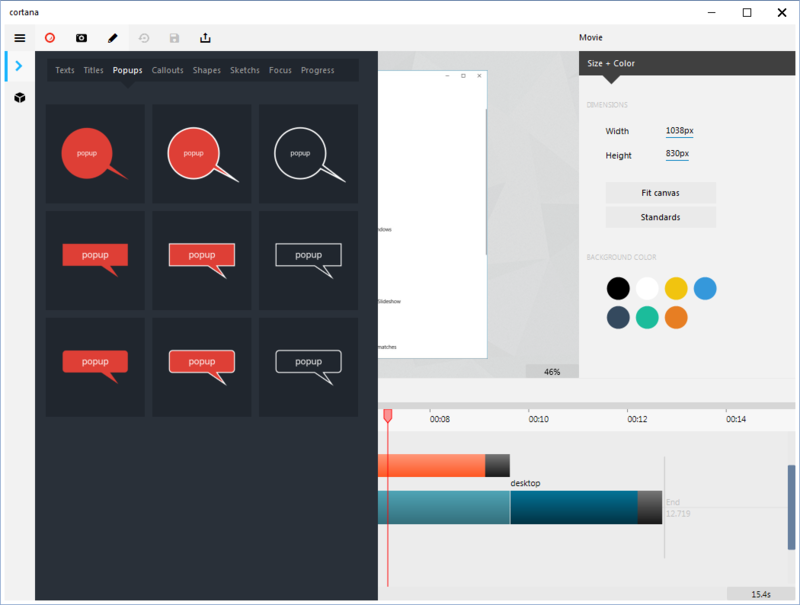 The built-in simplicity of editing tools and intuitive features make editing your projects quick and simple. You never have to hunt for features, they come to you in the context-sensitive design. Splice and crop recorded or imported video and audio with easy-to-use tools. Automatically insert a feeze frame to add annotations or comments for emphasis. Use words in different ways to deliver your message. 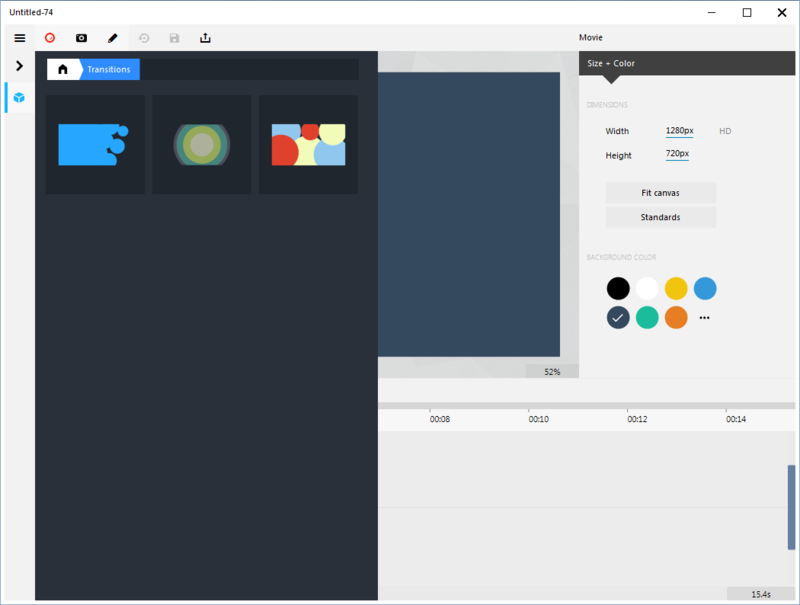 Change sequences and timing of objects with click-and-drag, drag-and-drop ease. Animate objects with movement, scaling and opacity changes to create emphasis and visual interest. Use transitions to control how objects merge and exit the production. Draw your own shapes as another way to direct a viewer' attention. Group objects you want to keep together, save for reuse (e.g., a reusable intro) or simplify the timeline view. Save content to your personal library to reuse in other screencasts. Record narration for any part of your movie for voice-overs during playback. 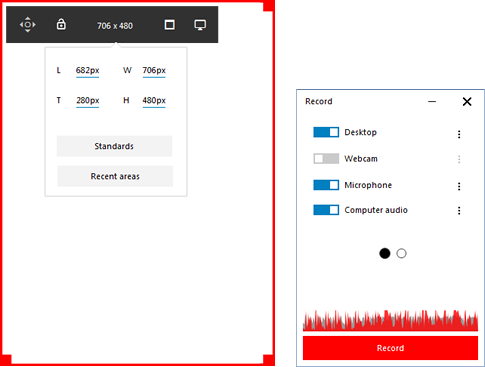 Create narration with the computer voice. This can add variety to your narrations and make for perfect 'takes'. Integrate green screen content to overlay subjects into different backgrounds. Add customizable borders, masking, color adjustments and drop-shadows to objects. Discover the time machine. Undo and redo anything. Don't be afraid of mistakes! Take a quick look at Video Detailer's interface. Finalize and share your finished creation by exporting it for use. You can export any video creation multiple times in different formats and sizes to be used for different purposes. It still remains editable. Use these popular formats to share your video creations. Multiple formats means you can share in a variety of different ways to make the final cut right for your presentation needs. For those formats that support player controls (MP4 and WEBM), you can imbed player controls that travel with your finished production. Record and build great video tutorials, product demos and social media creations. Click to download and start creating great videos today.